Founded in 1962, the City of London Festival is a summer programme of music, visual arts, film, walks and talks. 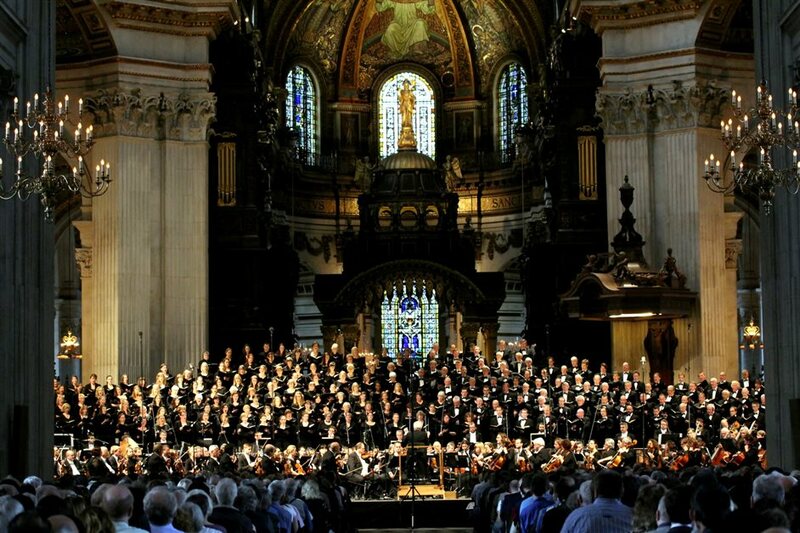 It takes place across several City of London venues, including St Paul's Cathedral where the London Symphony Orchestra and Chorus performs Haydn's The Creation (on 24th June 2015). It's also where the Orchestra of the Age of Enlightenment gives an authentic performance of Monteverdi's Vespers of 1610 (2nd July). Many of the events and activities are free (particularly if outdoor) including annual festival highlight the children's parade which sees 1,500 children taking to the City's streets. This year there's a focus on Singapore through a multi-arts series, including a performance from the T'ang Quartet and pianist Melvyn Tan (29th June). And the festival's 'Choral Capital' initiative returns with an inspiring line-up of participatory and performance led choral events. What are the best dining options near City of London Festival London? City of London Festival gyms, sporting activities, health & beauty and fitness. The best pubs near London City of London Festival. City of London Festival clubs, bars, cabaret nights, casinos and interesting nightlife. Where to have your meeting, conference, exhibition, private dining or training course near City of London Festival. From cheap budget hotels to luxury 5 star hotels see our deals for Various Venues London hotels, including The Grand at Trafalgar Square from 77% off.